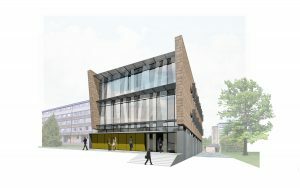 Hewitt Studios were appointed by the University of Bath to design a new postal services and office building for their main campus. A key requirement was to deliver as quick a build as possible in order to minimize disruption / loss of services to the campus. To this end we have developed an approach reliant on pre-fabricated components used in standard, readily available sizes. 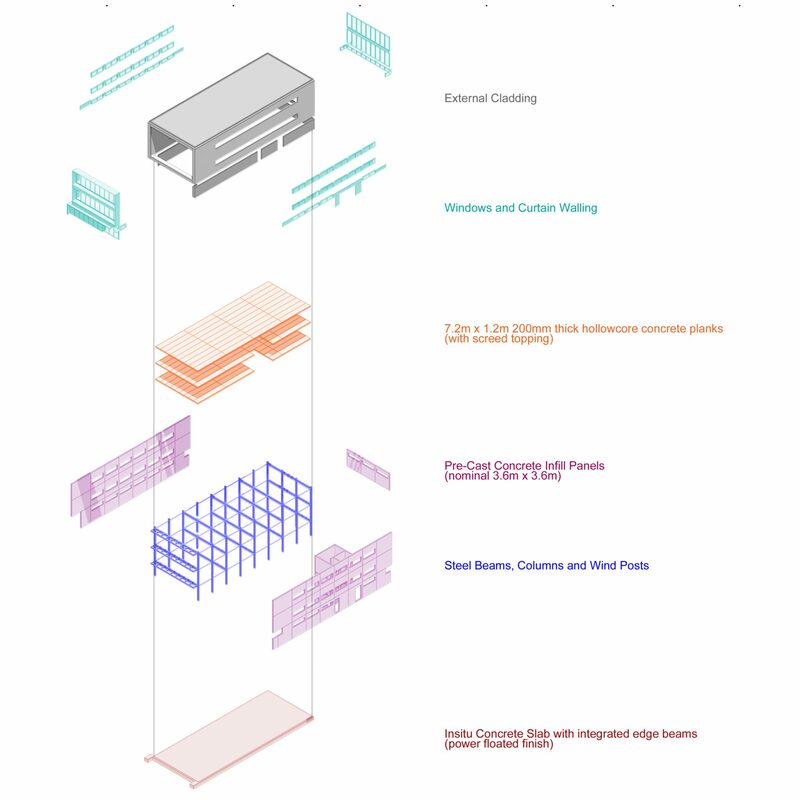 Clear spans of up to 12m provide exibility for a variety of internal uses; the upper floors are initially intended for use as office space for administration staff, but could be easily converted to teaching / workshop / studio space if required.